Just bought the new KitchenAid Cook Processor or just looking for a great recipe app? Well here is our answer to your call, introducing the Kitchen Cook Processor App. 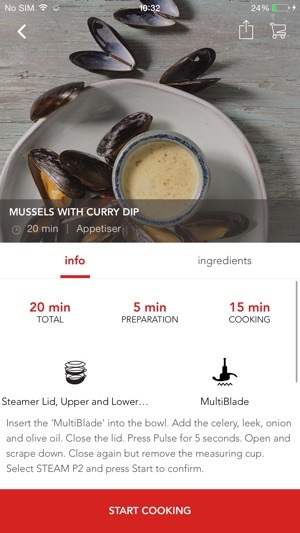 This app will provide you with a full-blown recipe book filled with classic recipes. And that’s not where it stops. Every month new recipes will be added by local chefs so even the most passionate gourmet will be challenged on a regular basis. You will also receive “How to” videos so you can successfully master your appliance. So, let’s get cooking! -Search by time – whether you are in a rush, or you want to take your time to create your next gastronomical delight, this app will cater to your needs. 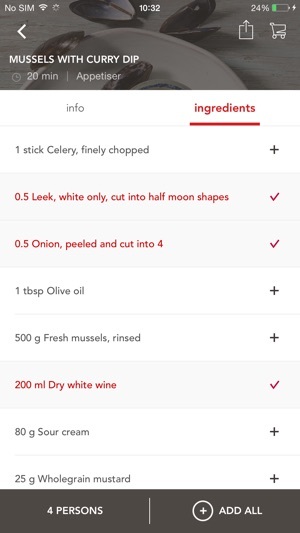 -Search by method – Are you into a steamed dish for tonight, or do your prefer frying, just tick the box and the app will generate the appropriate recipes. 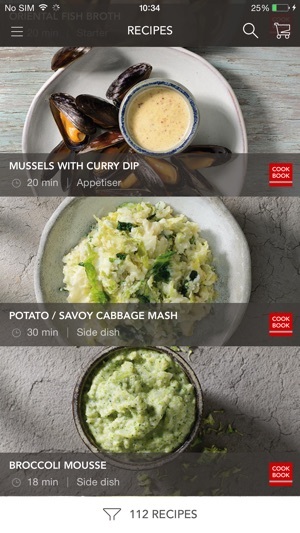 -Search by course – Looking for some breakfast or a quite dinner for two, the app will guide you to our top recipes. - SHARE our recipes on social media. - STEP-BY-STEP we will guide you through each recipe, making sure nothing is unclear. - Select the ingredients you need to pick up in the super market, send them to yourself via email or just copy them to your clipboard. This app (and by extension the kitchen aid) is near unusable. Literally can't access the recipes half the time, yet the kitchen aid completely relies on it to be at all useful. App is poorly made, buggy as all hell and has been totally inaccessible for half of the past year (due to an app update that made all recipes disappear). Also has a very very limited selection of actual recipes (which pretty much all are bad). 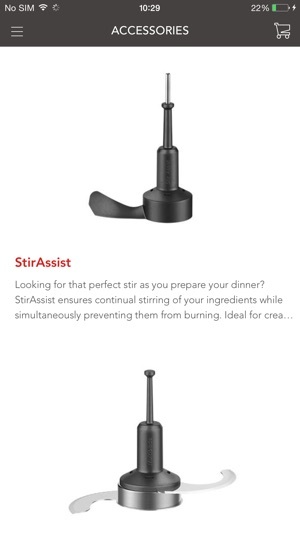 Kitchen aid should fire their app developer and whoever runs the recipe section. They also should actually provide some proper support to the product if they want people to ever buy their products in the future. Not really what you would expect from a product that is so expensive. Extremely dissatisfied. App will only show 22 recipes, when you click on a recipe and select ingredients it doesn't show the ingredients (may show one or a few, or may be blank altogether). Really hard to love my new cook processor when the app doesn't work! 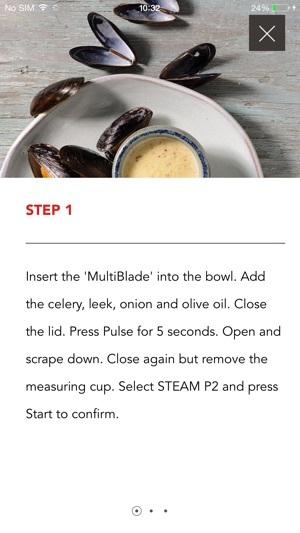 Especially because the app is supposed to be the alternative to the chip on the thermomix! Every time new recipes are added my app crashes and wont load anything that gets clicked on. I have had to re-download this app quite a dew times which is annoying. © 2014 Whirlpool Corporation. All Rights Reserved.